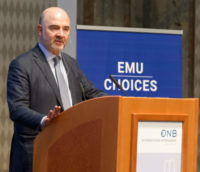 Under the auspices of Commissioner for Economic and Financial Affairs Pierre Moscovici the coordinator of our project Sonja Puntscher-Riekmann presented in the Austrian Nationalbank the first preliminary results based on three newly compiled datasets on the preferences and decisions of the Member States within the framework of the EMU. 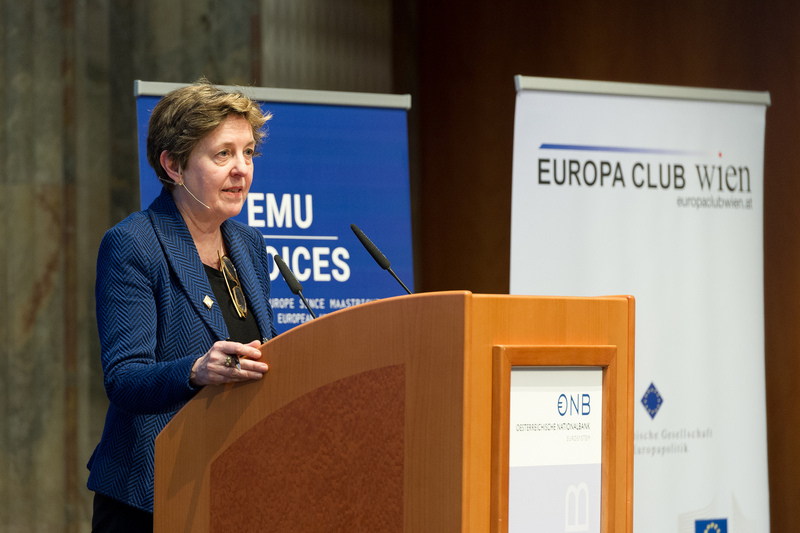 Prior to that the Commissioner demonstrated in his keynote speech the dramatic importance of the European project and the common currency and combined his analysis with the urgent appeal to the Member States to effectively reform the EMU. 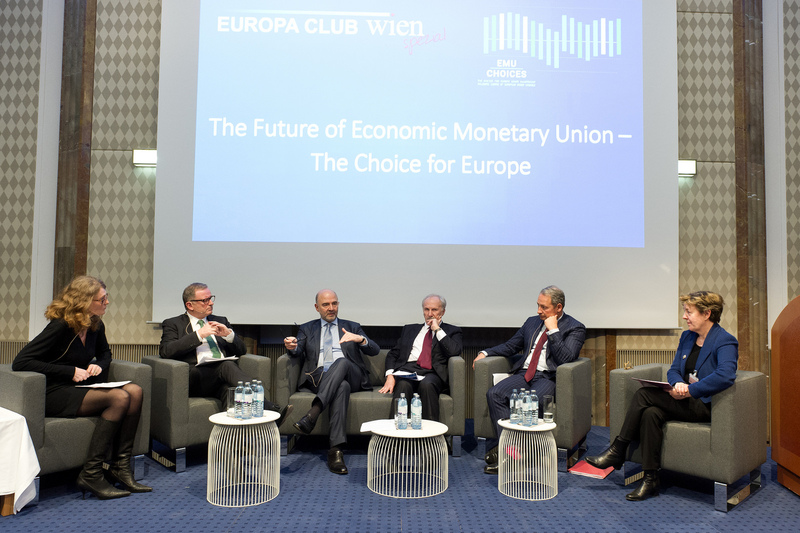 Together with Ewald Nowotny, the Governor of the Austrian National Bank, the second President of the Austrian National Council Karl-Heinz Kopf and the parliamentary group of the Austrian Social Democrats in the Parliament and about 200 guests the two presentations were discussed intensively.